I didn’t get too far with Christmas baking this year, but I did try a couple of new cookie recipes, thanks to Michele, who suggested that we pick some cookies to bake together (in a virtual sense, since we live many miles apart). I love rum raisin anything, so the recipe for Rum Raisin Shortbread jumped out at me as I was paging through my copy of Martha Stewart’s Cookies. I must admit that it bugs me that the recipe has raisins in the title but calls for currants, but I can see that Rum Currant Shortbread doesn’t have quite the same ring to it. And the tiny currants were perfect in these petite cookies. Along with rum-soaked currants, these cookies have coconut and orange zest (which I wish there would have been more of – the rum overpowered the orange). They’re moister than the usual shortbread and have a nice chew from the coconut. I liked them and thought the dried fruit and rum made them seem holiday-ish, yet they’d be good year-round. Mine didn’t hold their shape when baked; Michele mentioned that she added more flour, and I think she was on to something. I also goofed and used sweetened coconut instead of unsweetened, but I didn’t think they seemed overly sweet. Twisted into a pretzel shape and sprinkled with big pieces of sugar, the Chocolate Pretzel Cookies have a cute factor of 10! Although they have cocoa and espresso powder, they didn’t pack much of a chocolate punch. I think they’d be better dipped in white or dark chocolate, but that would take away from the “pretzel with salt” cuteness. Thank you Michele for prodding me to try some new recipes (and for letting me select them)! Be sure to check out how her cookies turned out. Both cookies look so good. 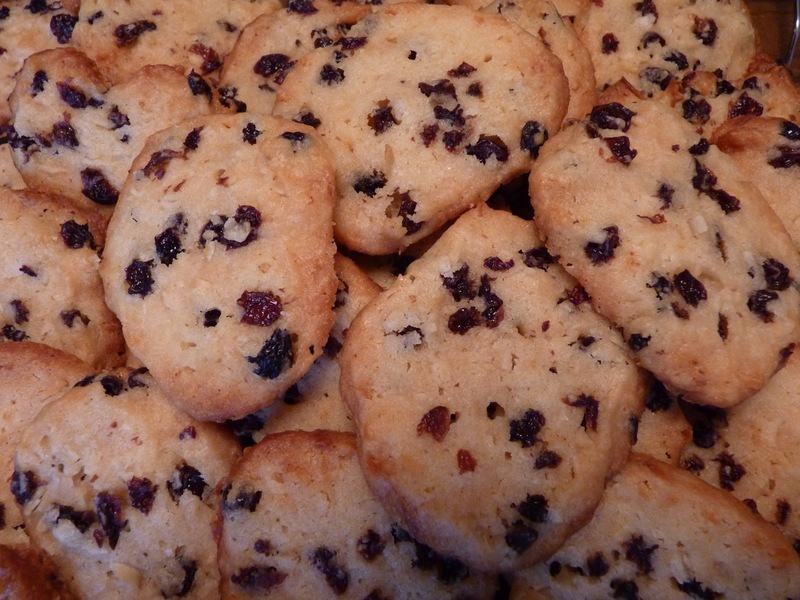 I made the rum raisin shortbreads a couple of Christmases ago and remember really loving them. 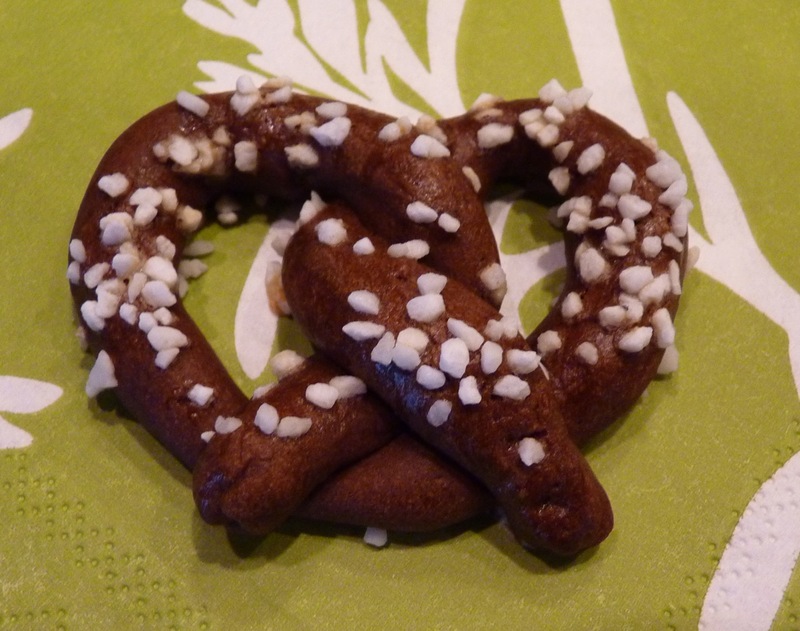 Both cookies look great and I love your chocolate pretzel photo! Love the look of both cookies…but I’m craving a chocolate pretzel right about now! Happy New Year! You gotta love Martha’s cookies – they are fantastic! I would especially like to try the rum and raisin shortbread. I have enjoyed baking through this year with you Jill, and hope to continue to do so in 2012. Happy New Year! Those pretzel chocolate cookies look great! Wonder if the chocolate pepper cookie dough (which is pretty chocolate-y would work for these?). Cute factor is an A+. Yum, those both look like great selections for holiday baking (I didn’t get too far with mine either). You did an excellent job on the pretzel shaping.